Baume les Dames is at the heart of the Doubs Central. Near the Doubs and Eurovéloroute you can practise multiple activities and make many discoveries (Hiking, biking, fishing, climbing, boating, museums, natural sites ...). Welcome to the Pays Baumois in the heart of the Doubs and Cusancin Valleys ! 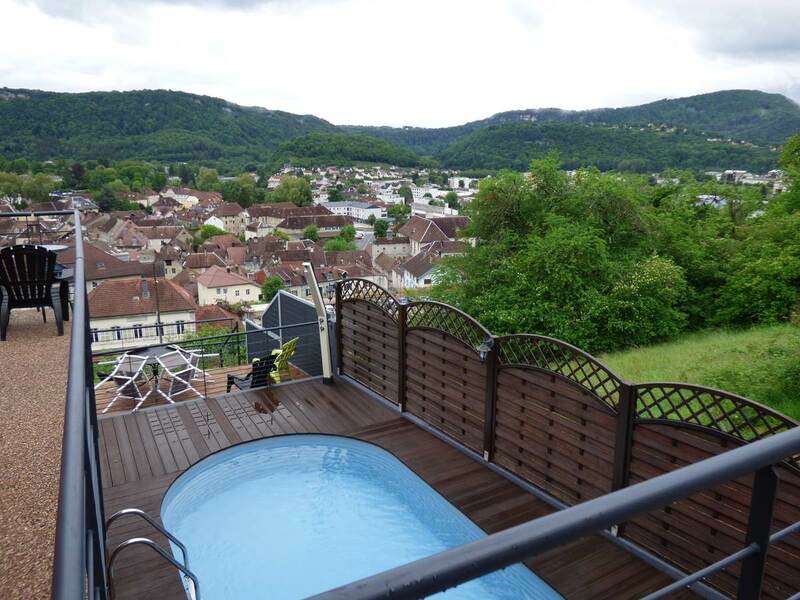 Surrounded by seven rocky and green hills, Baume-les-Dames is located in a central position in the Doubs region. It is situated 35 km from Besançon and 45 km from Montbéliard. People often pass through the town without stopping which is a pity for Baume-les-Dames benefits from an architectural heritage of quality and a remarkable natural environment. Of course, the surrounding villages are worth a look for their churches and fountains. Especially, you can only be charmed by the picturesque Cusancin Valley. In the Pays Baumois everybody can find something to their liking. The Tourism Office of Baume les Dames will be available for you to discover all the possibilities.